The Mario Kart 8 demo was playable with one or two players and consisted of three tracks. The first track was the generic Mario Circuit looking track, but it had some jumps and goombas along the way. The controls were set to motion controls and, while I'm not terribly experienced with using motion controls in Mario Kart, it seemed to me that there was some delay when turning. As was evidenced in the trailer, motorcycles, gliders, coins, and underwater segments make a return. Whether or not you'll be able to switch out vehicle parts as in Mario Kart 7 was not clear. Turbo boosting works as it did in Mario Kart Wii and Mario Kart 7 in that the boost charges by leaning into a turn while drifting as opposed to mashing left and right. The second track was a town themed course that reminded me of Sonic Adventure 2's City Escape level. This one had a few short cuts in it too. The final track was haunted house themed, and like the other two showed off Mario Kart 8's new feature of riding on walls and ceilings. This track also had an underwater segment combined with an anti-gravity segment which made it appear as if you were driving into a wall of water. Overall, all three courses looked fantastic visually and were fun to play as well. The graphics looked extremely nice and I didn't notice any visual lag even when playing with two people simultaneously. Hopefully the final product will still offer four-player splitscreen multiplayer without any loss in graphical quality. Apart from the graphics and the ability to ride on walls and ceilings, Mario Kart 8 seemed to be pretty similar to every other game in the series. That certainly isn't a bad thing, but I'll look forward to seeing what online and offline modes will be available in the final product. Super Mario 3D World had five playable levels on the demo that showed off the grassy early areas, clouds, water, and lava. This game was also playable with up to four players with the playable characters of Mario, Luigi, Toad, and Peach, each with their own unique abilities. It's also worth noting that more than one person could play as the same character. Once again, the HD graphics looked crisp, colorful, and awesome. For the most part, the stages played much like those in Super Mario 3D Land, meaning that they were linear, get-to-the-end stages that emphasize platforming over exploration. This doesn't mean that exploration is completely ignored however, as there are hidden green stars in each level and other secrets to be found. The most immediately obvious differences from Super Mario 3D Land were the simultaneous multiplayer, the new cat powerup, and the many clear pipes. The cat powerup lets you climb walls (but not indefinitely) and pounce and scratch enemies. You can even use it to climb to the top of the flagpole at the end of the level, which seems a bit overpowered to me. The clear pipes I mentioned were similar to normal pipes, but did not act as a loading zone to the next part of the level. Instead, they contained items and enemies, and often branching paths. You won't be able to stop once you go into a clear pipe though, so you'll have to react quickly to go down the paths that avoid enemies. While the levels generally went left to right with only a bit of depth to run around in, one level was decidedly different from this design and had the player(s) riding a dinosaur down a river while avoiding pits and enemies. As there was only one dinosaur between four players, it was a bit difficult to tell who was actually controlling the dinosaur in this level. One final note is that after each level, each player's individual score was shown, meaning that it could become a challenge to get the highest score by the end of the level if one had a mind to make it so. 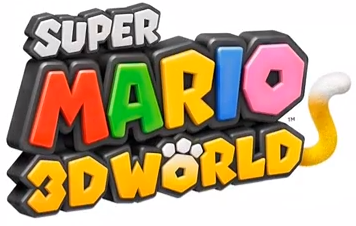 Overall, even though Super Mario 3D World is about 3D platforming rather than adventure, Mario does platforming well and this game looks extremely promising. Wind Waker HD's demo's only playable sections were Outset Island and the Helmaroc King fight. I'll assume that you already know about the original Wind Waker and just give you the details about this remake. 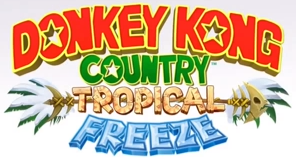 I was not able to play this or the Donkey Kong Country: Tropical Freeze demo, but I was still able to make some observations. There seem to be several minor tweaks that make the game slightly less of a chore to play (not that it was particularly a chore before). For one, the wind waker always appears to be equipped to the D-Pad and the sail, cannon, and grappling hook are similarly equipped separately when sailing. This means that you won't have to switch equipped items as frequently and will have more buttons to work with. Sailing also has a "fast" button as shown in the E3 trailer and grappling to posts in the overworld seems to go faster as well. Apparently there will be other minor tweaks like this as well, but not too many of them were obvious in the demo. The graphics looked... good. I guess. There was nicer lighting, bloom effects (if you're into that sort of thing), better shadows, and some better textures, but overall I wasn't wowed by the graphics like I was when playing Mario Kart 8 and Super Mario 3D World. It also appeared that most or all of the original character and map models and animations remained completely unchanged from the original, meaning that while the textures look good, Link's hat still has some obvious points and edges to it. 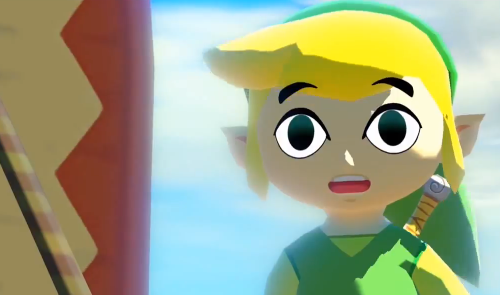 Wind Waker HD certainly looks nicer than the original, but not nice enough to merit this remake as far as I'm concerned. The original looked pretty good as it was, so unless this remake also adds some new dungeons that were cut from the first game, I don't think it will be worth buying except to those who didn't own a GameCube or to Zelda's most avid (and wealthy) fans. Unfortunately, this is the game I saw the least of. However, what I did see looked quite promising. While the graphics didn't blow me away, the gameplay looked like the same greatness that we saw in Donkey Kong Country Returns. You could say that it's just more of the same, but that wouldn't necessarily be a bad thing. The levels seemed to have plenty of secrets, environments and obstacles that changed as you played, and camera angles that didn't just stick to going left and right. Like DKCR, Tropical Freeze made me wonder why the New Super Mario Bros. series hasn't been implementing any of the awesome stylistic and gameplay choices that are on display in this game. As far as I could tell, certain actions were still mapped to motion controls (boo! ), but I was unable to check for sure and there's no telling whether or not the final version will have options for that. For me, the biggest mystery of Tropical Freeze is why Donkey and Diddy Kong were on the crashed plane at the beginning of the level. The answer to this question could take the entire Donkey Kong mythos in a whole new direction! Probably won't though. Oh yeah, that Luigi loot they mentioned? 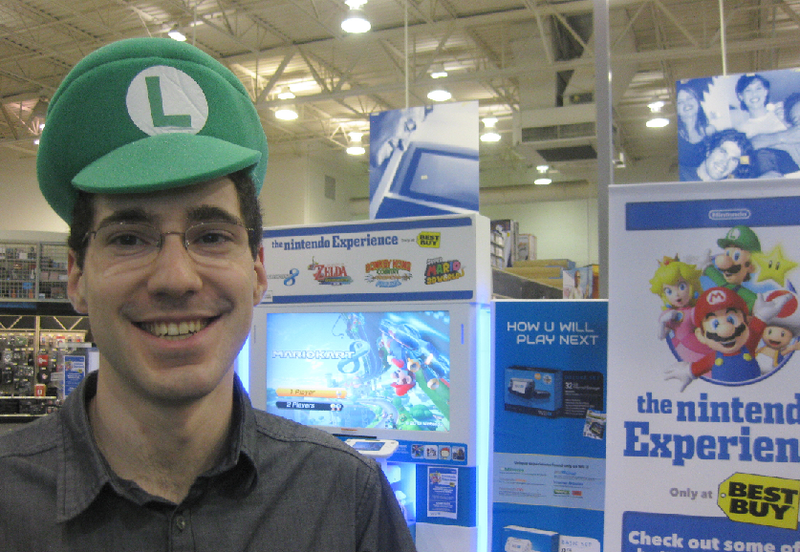 It was a crappy quality foam Luigi hat and a Mario Kart flag. Also, at the Best Buy I went to, there was only one Wii U set up for demos, so if you plan to go on Saturday, prepare for a bit of a wait.